Home » »Unlabelled » WOW, I Had No Idea You Could Do This With An Orange! Truly Amazing! WOW, I Had No Idea You Could Do This With An Orange! Truly Amazing! It’s no secret that candles can cost you a pretty penny these days. So, did you know you could make a simple oil lamp with just two common household items?! 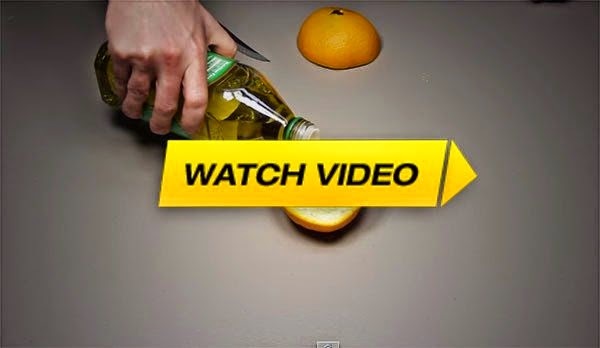 Watch this video to learn how to make an oil lamp that burns for 6-8 hours, with just one whole orange and some olive oil. Yes, 6-8 hours! Wow!! The stem of the orange acts as the wick, and an added bonus is that you get a lasting organic citrus-y smell. Yum!! No electricity needed, and fun to make. Is this something you’d try to make yourself? Please SHARE this video!